The two phones come with different type of design as the Nokia X6 provides both side glass build with aluminium framing and the Asus Zenfone Max Pro M1 comes with a metal back and polycarbonate framing and antenna bands. Nokia is considered as a good durability provider with their phones, but this time the glass build makes it look a little weaker as the glass back doesn't seem too much strong against the shocks. Nokia comes with the protection of Corning Gorilla Glass 3 where the Zenfone Max Pro M1 doesn't have any protection. Both the phones provide modern Full HD+ displays. The Nokia X6 has 5.84" screen with 19:9 aspect ratio and the notch. And Zenfone Max Pro M1 has a 5.99" screen with 18:9 aspect ratio without any cutout. The resolutions are 1080x2280 for Nokia and 1080x2160 for Asus. The pixel densities here count 432 in the Nokia X6 and 403 in the Zenfone Max Pro M1. In the hardware section, both the devices are the same as they both feature the Qualcomm Snapdragon 636 build on Kryo 260. The processor is an octa-core based chipset clocked at 1.8 GHz. The GPU support is also good with the Adreno 509. So both the phones will definitely not disappoint in gaming or everyday task after even heavy usage. The software section is also quite similar, as both the devices come with Android 8.1 out of the box and provide stock Android experience. Though the Zenfone Max Pro M1 has minor features like the ZenUI gestures enabled and some apps pre-installed but is close to stock Android. While the Nokia X6 comes with the Android one program. So neither hardware nor the software section is any less than the others. If we take the 6 GB ram variant of the Zenfone Max Pro M1, the two phones provide the same camera module with 16+5 MP dual rear cameras with f/2.0 and f/2.4 apertures along with a 16 MP front shooter with f/2.0 aperture. The lower Ram variants of the Zenfone Max Pro M1 replace the camera module with 13 MP in the rear and 8 MP in the front side. 5 MP depth sensor remains the same. So both the devices will provide almost the same camera performance. Both the phones come with three Ram/Rom variants and three colour options. Nokia comes with 4/32, 4/64 and 6/64 in Ram/Rom department and White, Black and Blue in colour department starting from 15,999/- INR. Zenfone also comes with same Ram/Rom variants with replacement to the 4/32 with 3/32. The colour variants are Black, Grey and Blue starting from just 10,999/- INR. Here the Zenfone Max Pro M1 has the edge in the pricing and does not touches the base variant of the Nokia X6 with it's highest version even, which is priced at 14,999/- INR (6 GB version). In the battery section, the Zenfone Max Pro M1 clearly beats the Nokia X6 as it comes with a huge 5000 maH battery capacity. 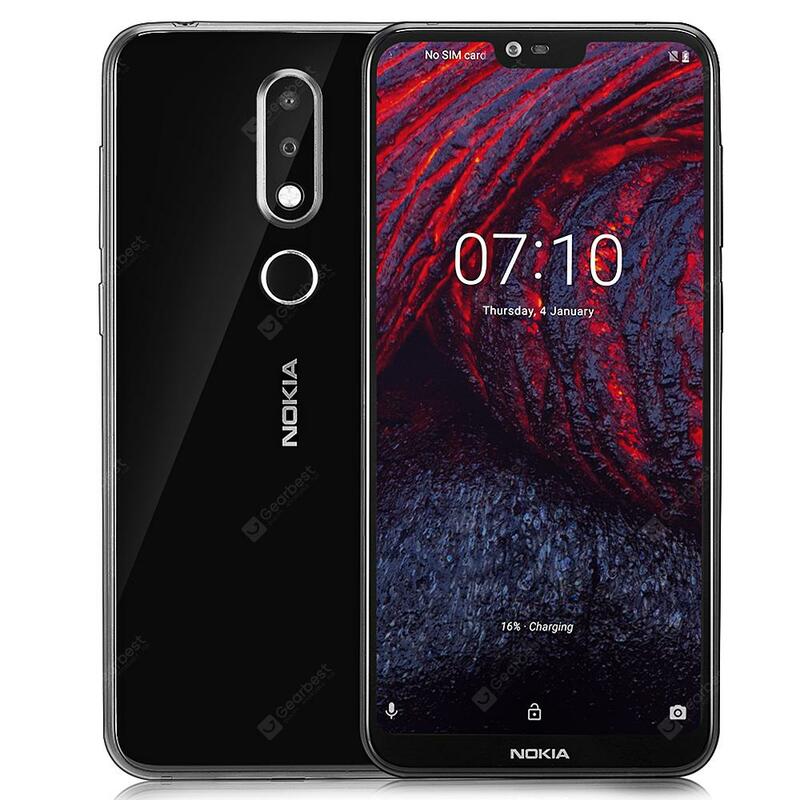 The Nokia X6 where provides a 3060 maH battery which is considered as a below average battery capacity nowadays. The Nokia X6 comes with a type c port and quick charge 3 support, which the Zenfone Max Pro M1 lacks. Both the devices are equivalent in other departments like Wifi, Bluetooth and the sensors. Nokia here provides a hybrid sim slot and Zenfone provides proper dual sim with dedicated microSD card slot. After comparing the devices the users will be only looking at the price tags as we mentioned before both the devices are quite similar.